This Autism Positivity Flash Blog Event is the brainchild of Thinking About Perspectives, a group of bloggers committed to increasing autism awareness and acceptance via open and respectful dialogue. We are (and more): 30 Days of Autism, Outrunning the Storm, The Third Glance, Aspie Kid, Flappiness Is,Quirky and Laughing, Life on the Spectrum, Fairy Tale Forgotten, The Aspie Side of Life, and Inner Aspie. I don’t know who you are or what your story is. I heard that you went online looking for help and did not leave your name. I want you to know Asperger’s is not the End of the World. On May 21, 2011 we prepped for the "End of Days"
My oldest boy has Asperger’s. Why was he born this way? Mr. Dreamy is a software architect. 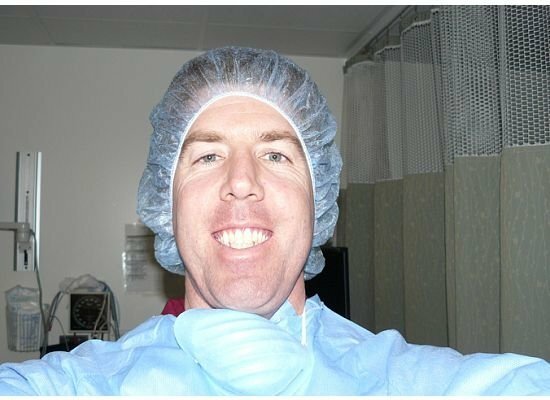 Here he is smiling because he is not the one who is 9 months pregnant. All signs indicated my newest addition would be a non-conformist. My baby sister is an engineer. 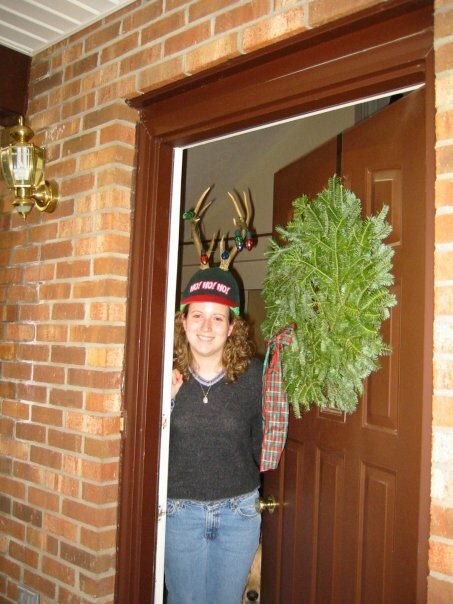 This photo was not taken at Christmas. After all, I know something about not fitting in myself. Sometimes I don't pick up on social cues. Watering him will not make him grow faster. 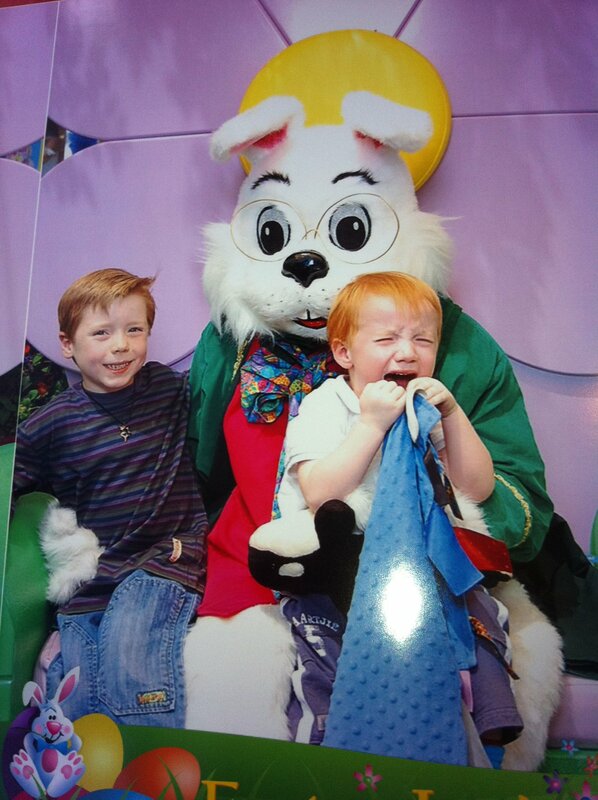 Brady knew that was just a man in a rabbit suit. His brother did not have the same clarity. We all have things about ourselves we want to change. People often tell me I am "unique" . I know that means "could you try to be normal?". Yes. I try. But I always end up being me. I believe that every perceived bad thing, is tied to something beautiful. I live in the dusty desert. Without the dust, we would not have such beautiful sunsets. 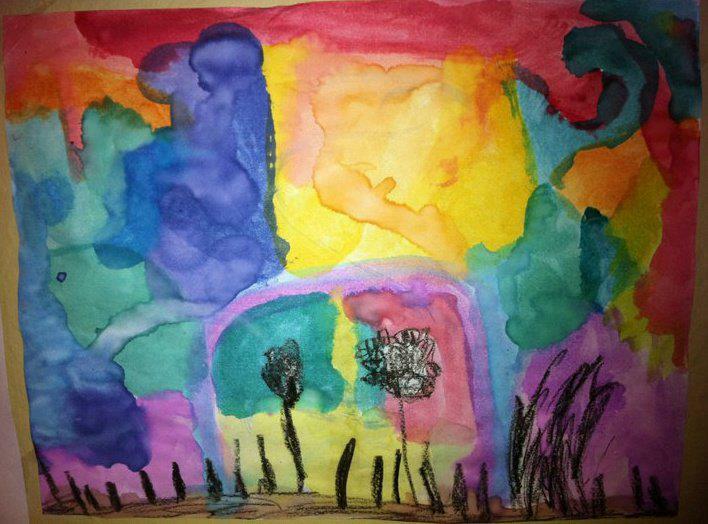 My son painted this picture of the Phoenix sunsets when he was in kindergarten. I hope you can find the beauty in the way you were made. You are important and special and irreplaceable. Don’t change, find out what you are here to do. And do it. 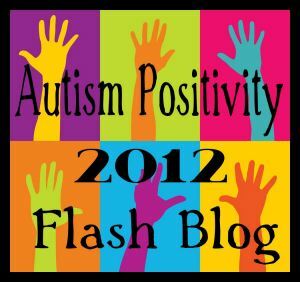 This post is in support of the Autism Positivity Flash Blog event. This entry was posted in Asperger's Syndrome and tagged Autism, Autism Awareness, Autism Positivity Flash Blog 2012. Bookmark the permalink. Alas! I lost track of when and where I posted last week in the excitement of Autism Positivity Day. 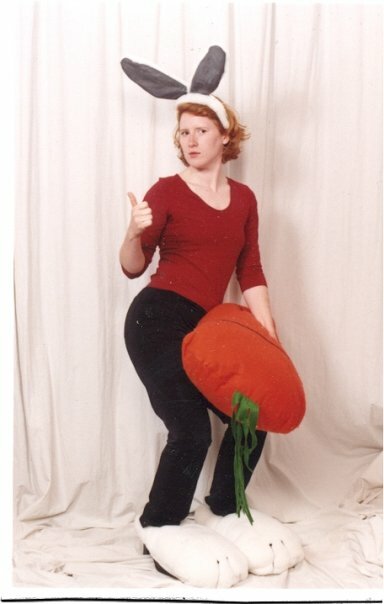 I appreciate your cheery, image heavy post. You send an immediate, positive message to everyone who reads. 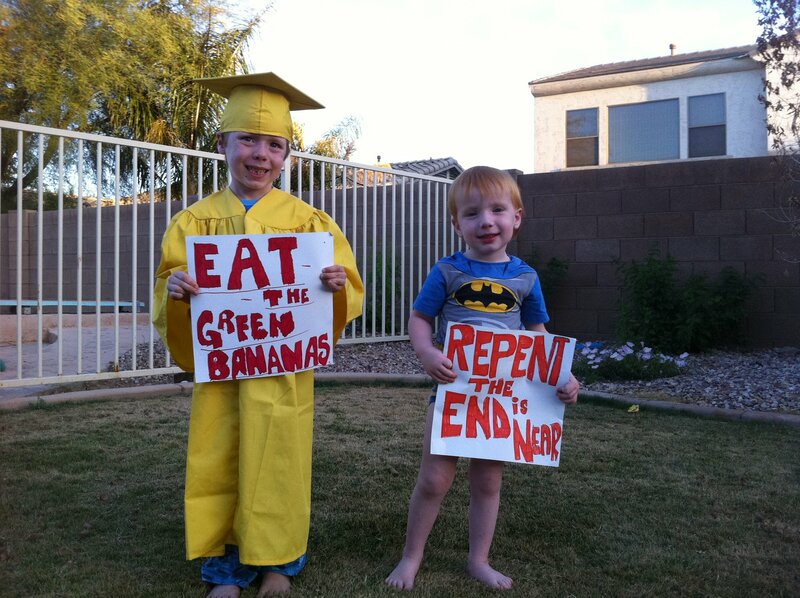 I espeicially like your children with their “end is near ” poster!